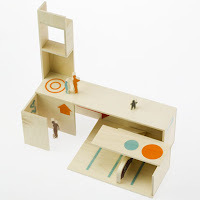 I’m intrigued by the House In A Box set created by Superspace of Copenhagen. 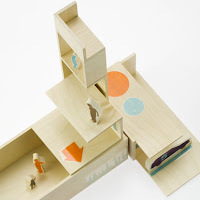 It features a set of rooms that can be stacked and connected in a variety of ways. I’d like to get several sets to put in my office and set out for guests when we entertain. It would be interesting to see what structures might be conceived. The House In A Box appears to be about 1:18 scale or slightly smaller. I’ve put in a request to the company for more information about the product—size, cost, retailers. I will update this post when/if they respond.